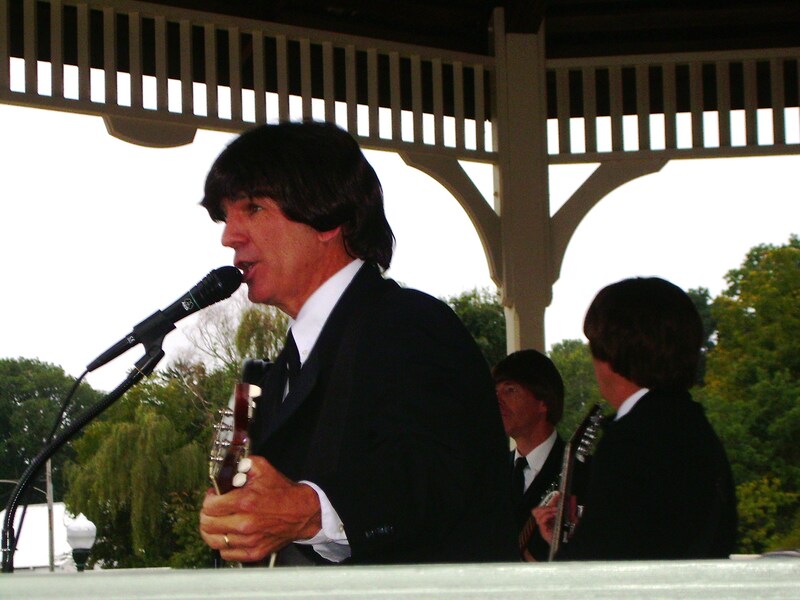 Last night, our small town’s Concert in the Park series came to an end with a concert by Beatles tribute band – Liverpool Beat. These monthly concerts in our little town are a free event throughout the summer, which is a good thing because so far, I’ve never had to pay to see a Beatles tribute band. It’s just not in my blood to cough up cold hard cash to see someone impersonating the best band the world has ever known. To put this into perspective, the reader may want to know that the three other tribute bands I’ve seen were: Yesterday, Beatlemania Now and She Loves You (I believe this one is a show title though it was performed like a concert). I can honestly say that I did like this band. You can tell that these guys really enjoy doing what they’re doing. 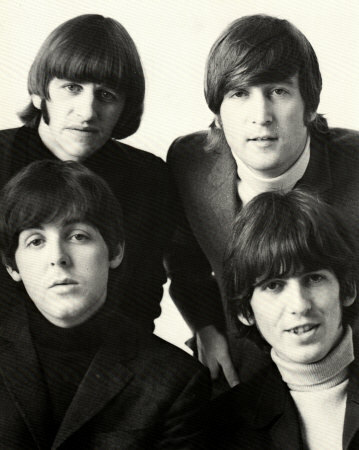 Their playlist included: Twist and Shout, A Hard Day’s Night, Help, She Loves You, Daytripper, She Loves You and many more to fill the hour and a half show they put on. I was surprised I had never heard of this band before since they’ve been playing in the Philadelphia area since 2001. What can you say about a band that even took the time out to stroll across one of the zebra stripes in town just so people could catch a picture of it? I’d say it’s a band that loves what they do and put their hearts into keeping alive the memory of the greatest band the world has ever known. And if you by chance find them performing in your area, don’t hesitate to go out, see them and have a great time! 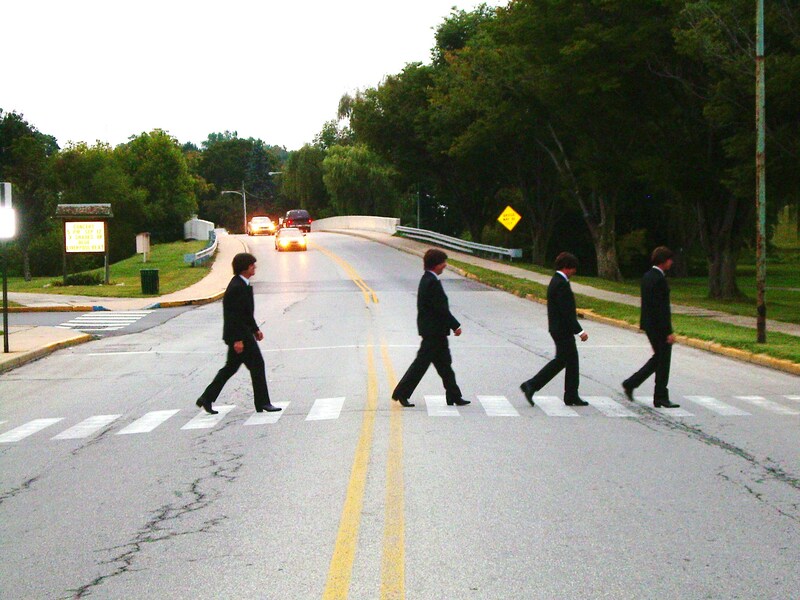 On that note, I will add that the organizers of Downingtown’s Concert in the Park are discussing the possibility of having a Beatles Festival in our town in the future. 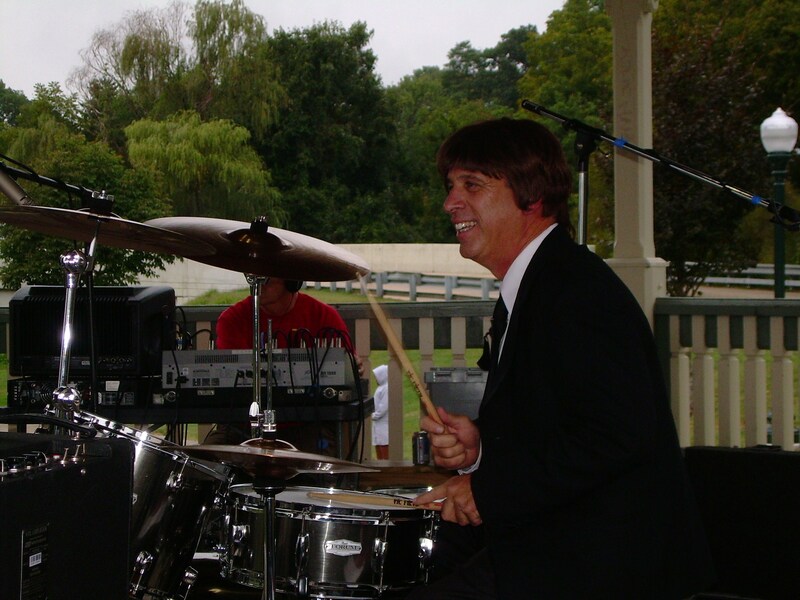 For more info on Concert in the Park, go to: www.DowningtownConcerts.com. You can see a video of Liverpool Beat performing “She’s a Woman” on YouTube. For more information or to book Liverpool Beat, please go to their website.